Peripheral Neuropathy is a condition with multiple symptoms, which is caused by an array of other conditions. It is usually caused by trauma to the nerve or by side-effects of another condition or illness. Not all conditions are the same, and the symptoms and length of treatment vary greatly from person to person. The end-result will also vary, as it is dependent on a number of factors such as: the underlying cause of the condition, how long the patient has been suffering, and the degree of damage that has been done. It is also reliant on the available treatments for someone’s particular case. Some conditions are more treatable than others. 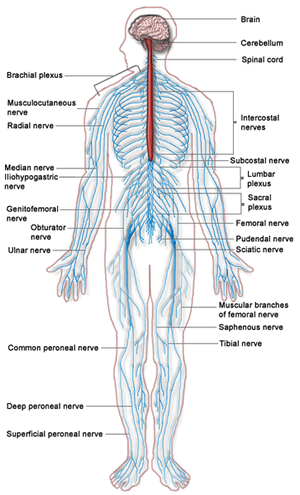 There are three types of peripheral nerves, and symptoms are partially reliant on which nerves are being affected. The symptoms of peripheral neuropathies can be endless, as the majority of symptoms rely on one’s unique combination of hereditary, metabolic, and toxic associations related to the condition, among other reasons. Some symptoms come on suddenly, while others take years to develop and become apparent. Sometimes, patients only feel one or two symptoms, but some patients feel a wide array of symptoms that can be more than debilitating. If left untreated, the illness might progress and become severely complicated to treat. There are a number of things that could cause peripheral neuropathy, and counteractively, could be caused by neuropathy. Many of the conditions are not necessarily classified as “Peripheral Neuropathies”, although the nerve damage or stimulation is prevalent enough to make the list. 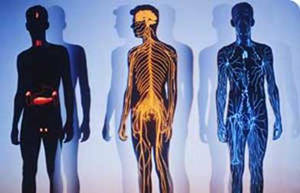 In polyneuropathy (multiple nerves being affected at the same time), the onset of the disorder typically starts with the nerves the furthest from the brain or spinal cord and work their way toward the core consecutively. It could start with numbness of the toes, move to the feet, then legs, then lower back, and so on. Mononeuropathy is classified as pain or damage to just one nerve and presents more localized pain, but at some point could develop and affect other nerves, leading to polyneuritis. The treatment options vary greatly from patient to patient, as the treatment options will mainly be based on the underlying conditions, rather than the neuropathy itself. Patients with Idiopathic neuropathy rarely find relief to their suffering, except occasionally with the use of pain and/or anti-inflammatory medications.